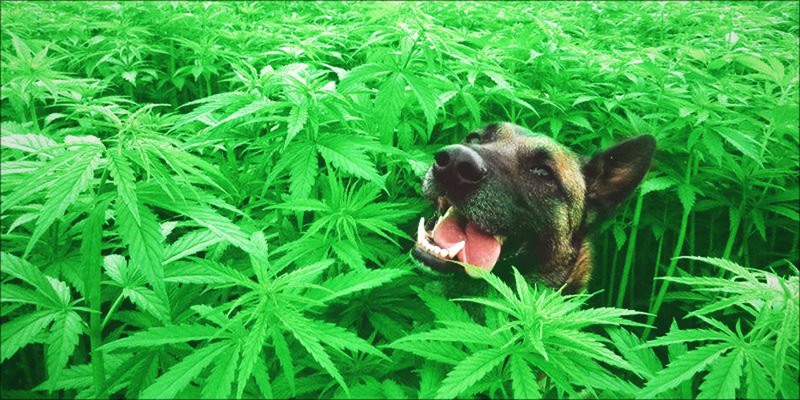 Marijuana or cannabis can be dangerous to pets. But if you get to know more about it, you will realize the undeniable medical benefits that it could provide. To ensure the safety of your animal friend, here are six things to keep in mind before giving cannabis to pets. 1. Is Marijuana different from Cannabis? Technically, no. Marijuana and cannabis are similar terms for a genus in the Cannabaceae family. It is composed of around 500 compounds, but the most notable ones are tetrahydrocannabinol (THC) and cannabidiol (CBD). Tetrahydrocannabinol or THC is the compound responsible for the “high” effect when cannabis is consumed. Its precursor is THC(A) or Tetrahydrocannabinolic Acid, which has many medicinal benefits including inhibiting tumour growth, suppressing muscle spasms, and aiding in sleep. Once cannabis goes through decarboxylation process, THC(A) is converted into THC, which is shown to reduce nausea and vomiting, improve appetite, and relieve pain. Overconsumption of THC can lead to toxicity that could, although rarely, be fatal to pets. Among those 500 compounds found in cannabis is CBD or cannabidiol. It is known to have an antipsychotic effect and can also reduce body pains and anxiety. When extracted from cannabis, CBD can provide wondrous relief to certain conditions like epilepsy, high blood pressure, and depression, making it an effective alternative medicine. 2. If it is so beneficial, why is my vet not prescribing it? Veterinarians are not legally allowed to prescribe cannabis or any of its derivatives to their patients. To add, the use of cannabis has not been approved by the American FDA for the treatment of cancer or any medical condition. Not even in the states where the use of recreational and medicinal marijuana is legal for human use. Bizzare, is it not? So the next time you think about asking your vet to prescribe CBD, remember that their hands are tied. They might be putting their practice on the line just by merely discussing it as an option. Ask first if they are comfortable talking about the topic and solicit their personal opinion about the matter instead of asking for a prescription. That might just be the (safest) way for them to open up. 3. Why use cannabis-derived products when there are plenty of drugs on the market? Our beloved pets have been providing us with happiness and companionship that we need. As they grow older, they develop illnesses and grow weak. Much as we would like to ensure that they are healthy all the time, time is a fickle friend. Many of the diseases that they have are age-related which unfortunately are out of our control. They too get depressed and anxious, develop a tumour, and have gut and immune system issues. There are hundreds of synthetic drugs available in the market to treat these illnesses. Unfortunately, pets can develop allergic reactions to these drugs. Their organs, specifically the liver, cannot withstand long-term use of these medications. That is why an organic, plant-based medication seems to be the best option for treatment. 4. How does it affect pets? Cannabis and hemp-based products target the endocannabinoid system (EC) system. It is a communications system in the brain. It is involved with daily functions such as how one feels, reacts, and moves. Vital parts of this system are endocannabinoid receptors (Types CB1 and CB2). Cannabinoid compounds such as THC and CBD adheres to the receptors and triggers this system. Once present, cannabinoids are able to control the body’s reaction the next time neurons in the brain activate. They can limit the number of neurotransmitters that a neuron can send causing changes in the mind and body. It is called an “endo” system because the body naturally produces neurotransmitters that have a similar effect to CBD and other cannabinoids. As we share a lot of similarity with animals, dogs specifically, the same mechanism happens to their body once cannabis is consumed. It has been reported to increase appetite, relieve pain and improve nervous system and immune system functions. Its most notable effect is in controlling the frequency and strength of seizures and growth of tumours. It also manages nausea especially as a side effect to cancer treatments. Many pet owners are getting into the cannabis wagon for a plethora of reasons. 5. Does this mean that I can share my stash with my pets? If you plan to blow pot smoke in your cat’s face, then the answer is no. Smoking is never a good idea. 6. So how would I know the right dosage? The proper dosage is still being worked out. Vets would recommend starting at the bare minimum then slowly increasing the dosage until the desired effect is attained. You should give at least a week before increasing dosage to ensure that no latent reaction is present. Choose the right product and notice for any signs of toxicity. Discontinue if there’s any adverse reaction noted. As a guideline, the advised dosage starts at 1 mg – 5 mg per 10 pounds of your pet’s weight for the first week of cannabis administration. 2 mg – 10 mg per 20 pounds, 3 mg – 15 mg per 30 pounds, so on and so forth. You should also take note that it takes an average of 30 minutes for any reaction to be observed. If there’s any negative reaction, decrease the dosage or discontinue altogether. Just like human beings, your pets also develop a tolerance to drugs. There might be a need to increase the dosage to reach the desired effect. Just always remember that in changing the dosage, you have to do it slowly and gradually. With the legalization of marijuana in some states, marijuana toxicity among pets is on the rise. You should keep your eyes open for signs of toxicity such as lethargy, difficulty in breathing, drop in blood pressure, loss of balance, irregular heartbeat, and urinary incontinence. Legalizing marijuana has helped fight the stigma of using it but it is not totally eradicated yet. Many people are now getting more curious about the advantages one can benefit from the plant. The study of marijuana for safe use on animals may still have a long way to go. Hope lies in the growing community of pet owners sharing their experiences of how cannabis is improving their pets’ quality of life. It is something that can possibly make huge strides in the treatment of various diseases. Cannabis, just like all the other drugs in the market, when taken excessively could lead to further health issues. Whatever your reason may be for considering cannabis for your pets you always have to remember to be careful. The neglect and carelessness of owners are more likely to be the cause of harm than cannabis itself. What’s The Etiquette Around Cannabis At The Workplace?